Students attended the Feb. 21 school board meeting to show support for Student Council Presidents' representation at school board meetings. 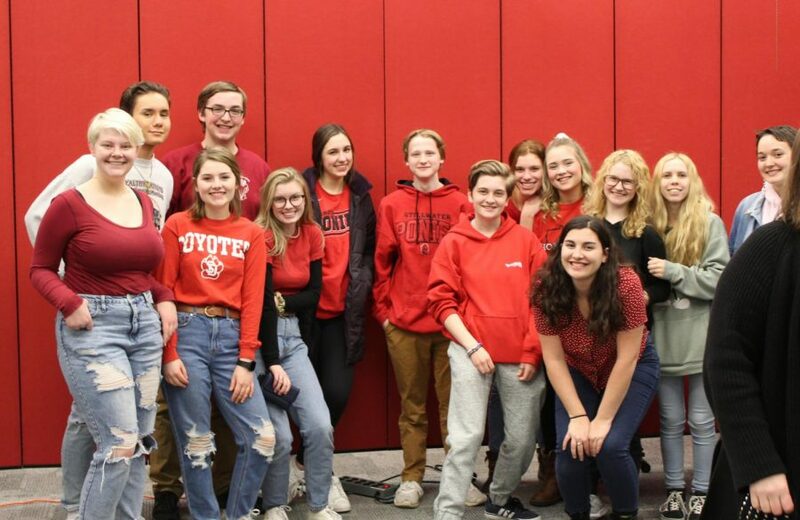 Inspired by senior Isabella Portelli, Student Council Senior Officer, many students showed up in red to the Stillwater School Board meeting Feb. 21 to support student leader representation at board meetings. 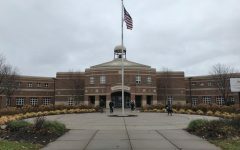 A brainstorming suggestion to rotate the Student Council Presidents from their current seats on the school board inspired Portelli to take action. Student Council Presidents have sat on the School Board since 1994, when then-advisor social studies teacher Mike Kaul earned them a place. Students reacted quickly and angrily to the suggestion. Portelli visited AP Government and Politics classes and many of the school’s music electives to spread the word. 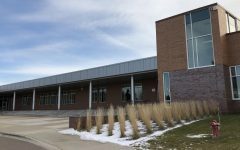 “If something that was just mentioned in a retreat, just like as a brainstorming activity causes this much of a friction amongst the students, then that just shows that that shouldn’t be even on the table,” Student Council President senior Abdulaziz Mohamed said. As the representatives who sit on the board, Mohamed and fellow Student Council President senior Nikhil Kumaran were not involved in organizing students to attend the board meeting. 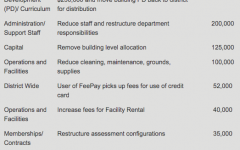 Instead, the organization of the student body was left to Portelli. 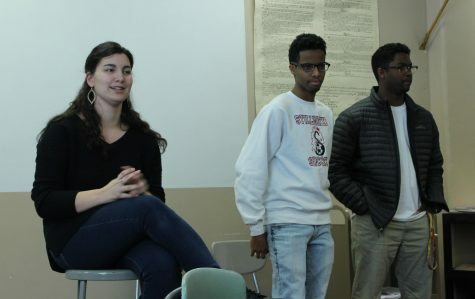 Seniors Isabella Portelli and Student Council Presidents Nikhil Kumaran and Abdulaziz Mohamed visited social studies and music classrooms to encourage fellow students to attend the board meeting Feb. 21. “-the revolution,” Mohamed finished for her. Portelli’s actions stem from a belief in the importance of student activism on the board. This year, she feels, the student representatives have been more active than before in board discussions. Mohamed and Kumaran both act as liaisons between the students and the Board. Kumaran cites an instance of him using student report time to bring to light issues such as the under-recognized mountain biking team, while Mohamed has strong beliefs regarding the Brookview Elementary expansion proposal. Kumaran and Mohamed both have their “ears to the ground,” according to Portelli, best representing a larger cross section of the student body that she feels may not get vocalized when constantly changing the person giving the student report. In her opinion, by keeping some level of consistency, what the representatives have to say is much more powerful. Both Kumaran and Mohamed feel they have actively used their voices on the board as well as they could. 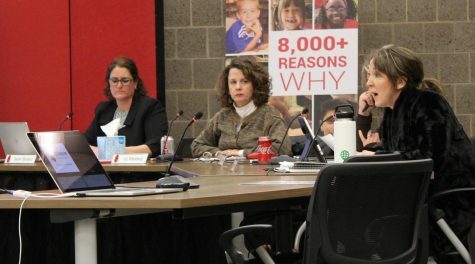 School board member Jennifer Pelletier cited the usefulness of the student representatives as a way for the school board to understand what happens within the school buildings. A sticking point for the student council members, as well as other students, is the fact that student council representatives are elected by the student body. They view their job as amplifying the perspectives of their constituency, something they feel a rotating student representative would not consistently do. In the days leading up to Thursday’s board meeting, board member Sarah Stivland reached out to both Kumaran and Mohamed by email. “I am deeply sorry for any stress or trouble that these comments have caused,” Stivland said. Board members Sarah Stivland, Liz Weisberg, and Jennifer Pelletier respond to questions from Student Council Presidents Nikhil Kumaran and Abdulaziz Mohamed. During the board meeting, Kumaran and Mohamed used most of their Student Council report time to seek clarification on the intent of the statement made at the board retreat. Weisberg said it was her suggestion. “I feel like it’s important to hear from all of our schools,” she explained at the board meeting. Board member Jennifer Pelletier ended with an apology to all students impacted by the suggestion. 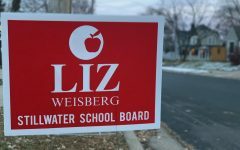 Weisberg said no decisions will be made about the role of student council presidents serving at board meetings during this school year.